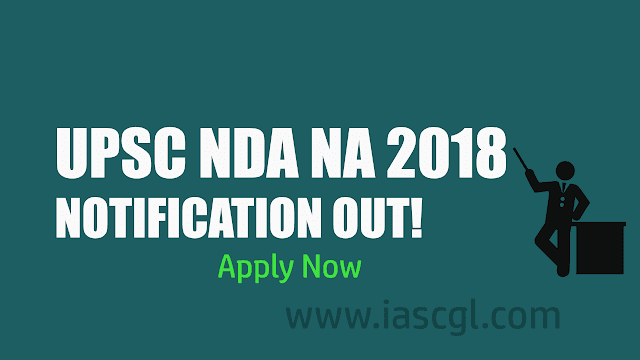 Union Public Service Commission(UPSC) has released official notification of NDA NA Examination 2018. The exam is being conducted for admission to the army, navy and air force wings of the NDA for the 142nd course, and for the 104th Indian Naval Academy Course (INAC). The candidate must be an Indian national or a subject of Bhutan or Nepal, Tibetan refugee came over to India before January 1, 1962 with the intention of permanently settling in India. For Army Wing of National Defence Academy: Class 12 pass of the 10+2 pattern of School Education or equivalent examination conducted by a State Education Board or a University. For Air Force and Naval Wings of National Defence Academy and for the 10+2 Cadet Entry Scheme at the Indian Naval Academy: Class 12 pass of the 10+2 pattern of School Education or equivalent with Physics and Mathematics conducted by a State Education Board or a University. Only unmarried male candidates born not earlier than January 2, 2000 and not later than January 1, 2003, are eligible. The selection will be based on the performance in the written examination followed by intelligence and personality test by the Services Selection Board (SSB).